Each speaker has one 5" woofer and two strategically positioned 3/4" tweeters. 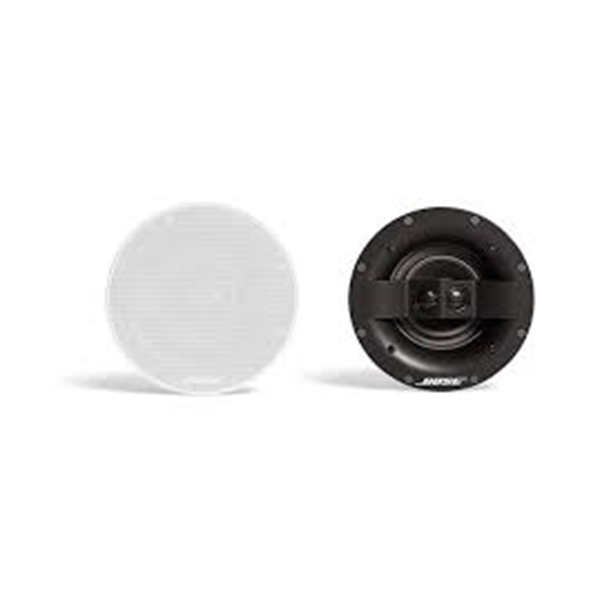 High-quality, full-range performance that most other installed speakers can't match. Exclusive Stereo Everywhere speaker performance covers the room with balanced stereo sound- no drop-offs. A near-bezel less construction blends elegantly into the room's design; easily paintable grilles. Standard dogleg clamps and magnetically attached grilles make installation fast and easy.